Texas does not impose a state inheritance or estate tax. Most of its laws surrounding inheritance are straightforward. However, if the deceased doesn’t have a will probated by the court, inheritances can get a bit more complicated. If you are trying to sort out your estate or inheritance plans, the SmartAdvisor tool can match you with a financial advisor in your area who can help. 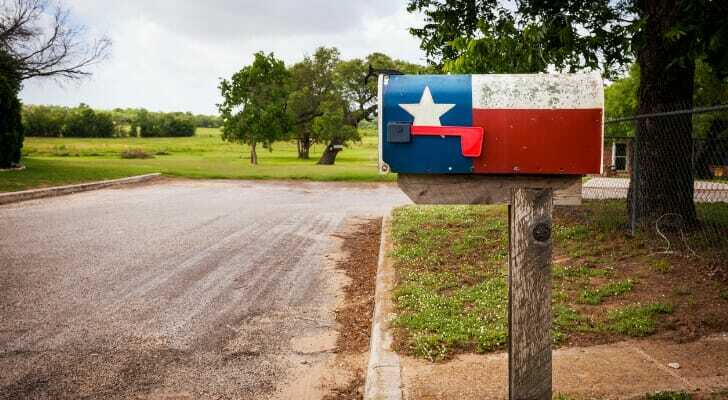 Does Texas Have an Inheritance Tax or Estate Tax? No. There are no inheritance or estate taxes in Texas. The state repealed the inheritance tax beginning on 9/1/15. To file any of these estate-based returns, you’ll need to apply for an employer identification number (EIN) with the IRS. You can do this online, by fax or via mail. If you leave a testate will following your death, you’ve clearly and completely laid out in writing exactly what you want done with your estate. This includes the naming of an executor or personal representative for the estate, heirs to your property and legal guardians for children under 18. It also means the creation of any testamentary trusts, which handle bequests to a beneficiary if the decedent doesn’t want that person to receive those assets until a specified time. In Texas, having a testate will means your will almost always will be executed exactly as you wish. Therefore, inheritance laws really only apply to people who died without a valid will. For estates greater than $75,000, the probate process goes into action to ensure that the will of the deceased is executed as it was meant to be. The court appoints the executor who was named in the will to manage the estate. This involves not only protecting and distributing the decedent’s assets, but also taking care of his or her debts and liabilities. Any estate worth less than $75,000 is not required to go through the court. Instead, after 30 days have passed since the individual’s death, heirs can file a small estate affidavit with the court that has jurisdiction over the estate. Following approval by the court, heirs can use this affidavit to acquire property from the estate. Estates with no will or a will that has not been probated by the Texas courts within four years of the deceased’s death can be inherited via the use of an affidavit of heirship. Someone with knowledge of the decedent and his or her family, as well as a public notary, must sign the document to transfer the estate to the decedent’s heirs at law. As far as vehicles are concerned, a separate affidavit of heirship is available through the Texas Department of Motor Vehicles. Dying without a valid will leaves the distribution of assets up to the intestate succession process of the state of Texas. Even a decedent’s valid will can be considered intestate if it cannot disperse all estate property (possibly because of a beneficiary’s death or other extenuating circumstance) or if other parties have successfully contested the will. Unfortunately, even the will of a decedent who passes away with the belief that things have been fully taken care of can have his or her will considered invalid by the court after the fact. In turn, an intestate will, because it has little to no prespecified direction, is inherited by some combination of the deceased’s spouse, children and/or relatives. To differentiate between your belongings and whom they should go to, Texas divides them into community property and separate property. If you’re married, any property you received during your marriage is considered community property and is therefore jointly owned by you and your spouse. However, inheritances and gifts acquired during your marriage do not automatically become community property. Commingling an inheritance or gift in a joint bank account with your spouse can void personal property rights, though, and turn the assets into into community property. Separate property belongs solely to you and is split between personal and real property. Personal property consists of items that are not literally fixed to the ground, like cash, vehicles, investments and memorabilia. Land and anything fixed to it, such as a homestead, is real property. 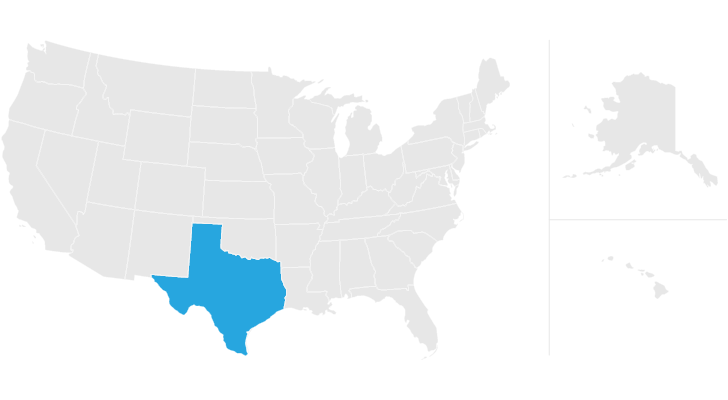 In Texas, you don’t have to go the traditional marriage route to be considered married by the state. It recognizes common law marriages and therefore will afford your common law spouse inheritance rights even if there’s no marriage license attributed to your relationship. To achieve a common law marriage in Texas, you must agree to be married with your spouse, have represented yourselves as married to others and have lived together in the state. All community property will be left to your surviving spouse if all of your children are his or hers as well. But if one or more of your children are not from your surviving spouse, Texas will afford your community property to the children. In this situation, Texas deals with separate property differently. The state divides separate personal property between your spouse and your children, with two thirds afforded to all the children and the leftover one third going to the spouse. Separate real property is divvied out in the same manner, but once the surviving spouse dies, real property is transferred to the children. The laws in Texas surrounding intestate wills for married individuals without children are much simpler. The surviving spouse automatically receives all community property. Separate personal property also goes completely to the surviving spouse, while separate real property is split down the middle between the surviving spouse and the deceased’s parents, siblings or siblings’ descendants, in that order. If there are no surviving parents, siblings or descendants of siblings, the spouse gets the remainder of the estate’s separate real property. Biological children of the decedent and his or her spouse hold some of the strongest inheritance rights to an intestate will’s property. As of 2017, though, Texas courts ruled that adopted children receive the same rights to inheritance as biological children, including inheritances from their adoptive parents, grandparents and other family members. In recent years, Texas chose to include those adopted as adults in this policy as well. If you’re not married, you won’t have any community property, as that’s reserved for married couples only. Therefore all of your property will be considered separate by the Texas courts. Intestate decedents in this situation who do have children, though, will leave all their separate property to their children. Stepchildren do not receive a part of your intestate estate as per the succession plan of Texas. Because the state doesn’t view anyone related to you solely through marriage as an automatic heir, a stepchild’s claim to your estate is null and void. Children who were adopted or born following the execution of a parent’s will, otherwise known by Texas as pretermitted children, have normal children’s rights to inheritance. If the deceased parent has left no other way to support the child following his or her death, the child will receive part of the estate, regardless of whether he or she was originally named within the will. Illegitimate children have been afforded complete children’s inheritance rights by the state of Texas for more than two decades. This gives them inheritances not only from their parents, but also from their parents’ descendants and ancestors. There are a number of financial accounts that won’t fit neatly into your estate. These require extra work to handle. Included in this are life insurance policies, retirement accounts like IRAs and 401(k)s, joint accounts and other beneficiary-based accounts. If you want the funds in these accounts to be included in your estate, you must title your estate their beneficiary. However, if you fail to do so, the beneficiary listed on the account will inherit the funds. If the deceased’s will includes a former spouse in it, Texas law voids everything that would have gone to the former spouse. To avoid this, you will need to draft a new will following your divorce with your former spouse if you still want to leave anything to him or her after the fact. A putative spouse is an individual the court finds to have truthfully believed he or she was married to the decedent, even though that wasn’t legally the case. To put this into a real world situation, two people could marry without one of the spouses being divorced from a previous marriage, making the most recent marriage illegitimate and thus the spouses merely putative. In Texas, these individuals possess essentially the same inheritance rights as a legal spouse. Deathbed marriages refer to when an individual marries someone nearing death, not for love or partnership, but for a stake in his or her estate. Therefore, these are typically predatory in nature. Because spouses will usually hold a heavy stake in a decedent’s estate, this can be a point of contention for their families who notice that a deathbed marriage has occurred. Texas law does provide these families a path of recourse to try and void the marriage. Make sure you file a case with the courts before the one year anniversary of the death, or you could run out of time to annul the marriage. Only marriages that are three years or shorter in length are eligible for annulment under this law. Managing your own estate, or handling the intricacies of inheriting money from the estate of a loved one who has passed away, includes many complex factors to consider. It can be such an overwhelming venture — with taxes to file, possible court proceedings to go through and more — that you might want some help. The SmartAsset financial advisor matching tool will pair you with as many as three nearby financial advisors equipped to handle your estate and inheritance planning needs. Matches are found based on your answers to a few simple questions. So be as specific as possible when stating what you’re looking to handle in your financial life. Chris Thompson, CEPF® Chris Thompson is a retirement, savings, mortgage and credit card expert at SmartAsset. He has reviewed hundreds of credit cards and loves helping people find the one that best matches their financial needs. Chris is a Certified Educator in Personal Finance® (CEPF®) and a member of the Society for Advancing Business Editing and Writing. He graduated from Montclair State University where he received the Journalism Achievement Award. Chris’ articles have been featured in places like Yahoo Finance, MSN and Bleacher Report. He lives in New Jersey and is a Mets, Jets and Nets fan.